How to build a cloud storage service similar to Dropbox using Oracle Solaris 11.1 and AjaXplorer. Oracle Solaris 11 is a cloud operating system that is very powerful. Using Oracle Solaris 11, you will be able to provide various services. For example, it is possible to create storage that can be utilized by AjaXplorer, which provides Web-based access to files. This article describes a PHP-based open source solution that uses AjaXplorer, Oracle Solaris 11.1, and Apache Web server (although other Web servers can be used) to build a cloud-based storage service that is similar to Dropbox. Of course, you can also build the storage in the same way using AjaXplorer with other operating systems, such as Microsoft Windows, Mac OS X, and Linux. However, when using Oracle Solaris 11.1, you will be able to configure the storage in a more powerful and secure way by taking advantage of ZFS. After you implement the solution described in this article, you will be able to use any Web browser to access the Web-based storage. In addition, you can use apps on Android and Apple iOS smartphones and tablets to access the storage. You can use Oracle VM VirtualBox to install Oracle Solaris 11.1 on a system. Or, if you already have Oracle Solaris 11.1 installed on a system, you can use that. Note: If instead of installing Oracle VM Virtual Box, you use a system that already has Oracle Solaris 11.1 installed, that system should have at least 1 GB of memory (2 GB is recommended). The approach described in this article uses Oracle VM VirtualBox to install Oracle Solaris 11.1. Using Oracle VM VirtualBox (shown in Figure 1), install Oracle Solaris 11.1 on your system. Note: If you do not have Oracle VM VirtualBox installed, you can download it here and then refer to the Oracle VM VirtualBox User Manual for installation information. You can also download the Oracle Solaris 11.1 VM for Oracle VM VirtualBox image—a preinstalled virtual machine that provides a convenient way to evaluate Oracle Solaris 11 from inside Oracle VM VirtualBox—by referring to this article. Add a disk to be used in the configuration ZFS, as shown in Figure 2. Add three more disks. When you are done, Oracle VM VirtualBox Manager will look similar to Figure 3. Start Oracle Solaris using the Start icon in Oracle VM VirtualBox. Use the commands shown in Listing 1 to configure the ZFS storage and configure a RAIDZ volume. The commands in Listing 1 create a ZFS pool named data_pool as a RAIDZ volume using three disks: c7t2d0, c7t3d0, and c7t4d0. Then the docs ZFS file system is created under data_pool. Unpack the downloaded file using the following command. AjaXplorer is installed in the default location of the Apache server, which is /var/apache2/2.2/htdocs. Or, if you don't want to change the mount point, you can achieve the same result by modifying the configuration of the Apache server. As shown in Listing 2, you can enable deduplication for the ZFS file system, which is supported by the Oracle Solaris 11, and you can enable the compression feature, which allows efficient use of storage. Deduplication and compression can be turned on or off during operation. Encryption, which was not used here, can be enabled only when you create a volume. Once a volume has been encrypted, the encryption setting cannot be changed. Now, if the same file is copied, there is no change to the block due to deduplication saving space. Additional space is saved due to compression. To set up HTTPS (SSL) communications, copy the ssl.conf file to create a key and certificate. After the copying and configuration tasks are complete, restart the Web service. Note that due to limitations of the 32-bit PHP module, the file upload size is limited to 2 gigabytes. The upload limit is larger for a 64-bit module; unfortunately, only a 32-bit PHP module is available for Oracle Solaris for x86 platforms. Note: post_max_size must always be greater than or equal to upload_max_filesize. When you are finished making changes, restart the service. I installed and configured the mod_secruity Apache module for security. If desired, you can install and configure it using the following commands. For a normal PC using a Web browser, the client connection and diagnostic messages are displayed first. Then, as shown in Figure 4, a security warning is displayed stating that the initial user ID and password are both admin. The password can be changed after the initial login. 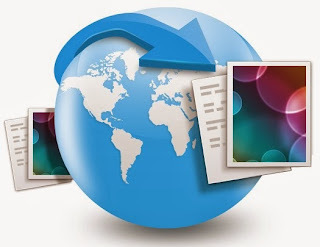 In order to check and set the file size limit, select Settings and then select Global Configurations, Core Configs, Common 'uploader' plugins options, and Limitations. You can then see and change the file size, as shown in Figure 6. As shown in Figure 7, using a Web browser, you can use the Web storage. As shown in the Figure 8 through Figure 12, you can use the storage in the same way using an Android-based smartphone or an iPhone. A native application, which costs US$0.99, is available for accessing AjaXplorer through an iPhone or iPad. As shown in Figure 13 through Figure 15, even without using that app, you can use a mobile Web browser to access the storage. File uploads and downloads are done brilliantly. If a file is duplicated, the value shown under the DEDUP column in the output of the zpool list command will be greater than 1.00x. In this example, the value is 2.97x, which means the file is compressed. Also, zfs list shows information about the file systems.